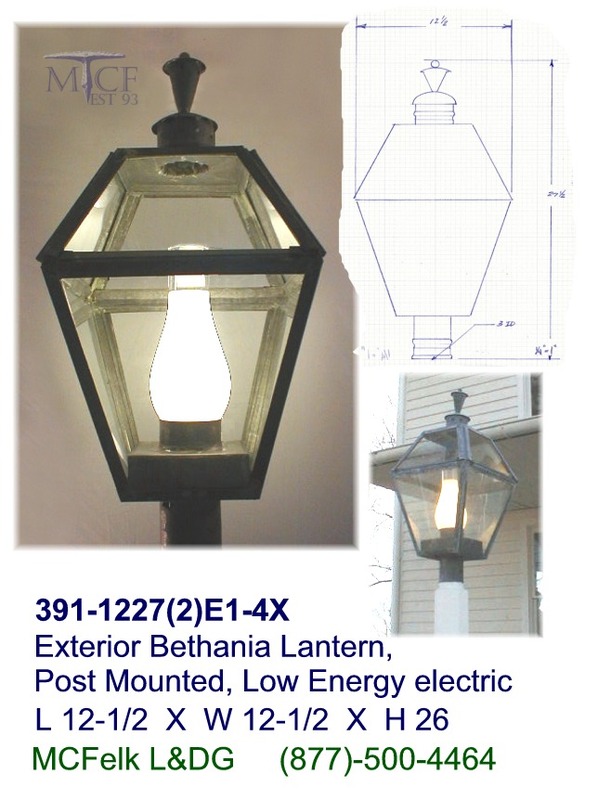 Click on images below to reveal enlargement and specifications. 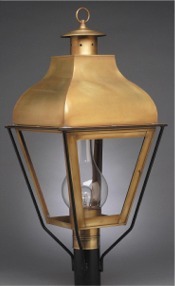 The following include multiple options & features with life time warranty. 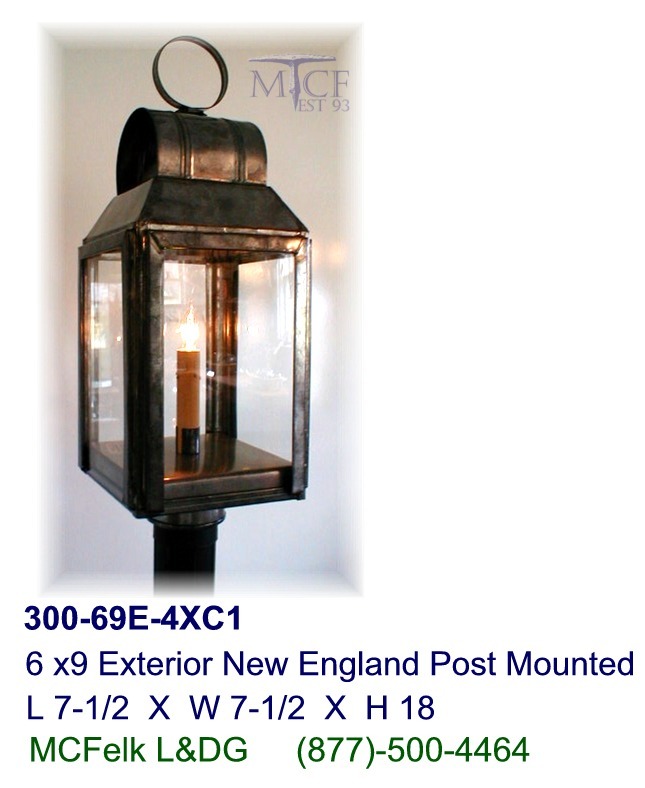 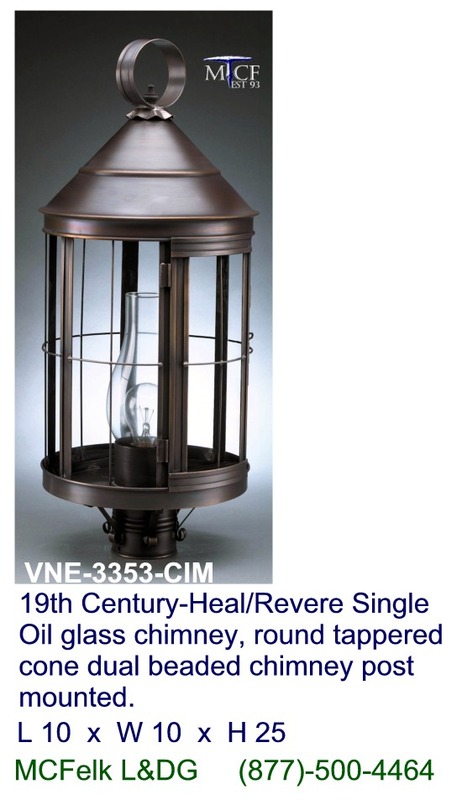 6 x9 Exterior New England Post Mounted single candle or optional period electric oil burner, Non-banded glass, takes 1-60 Watt max. 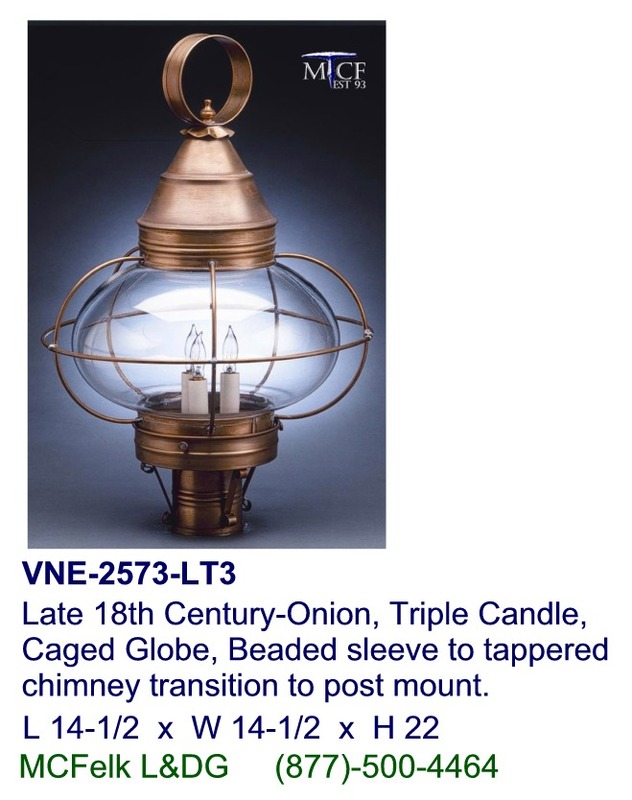 candleabra bulbs. 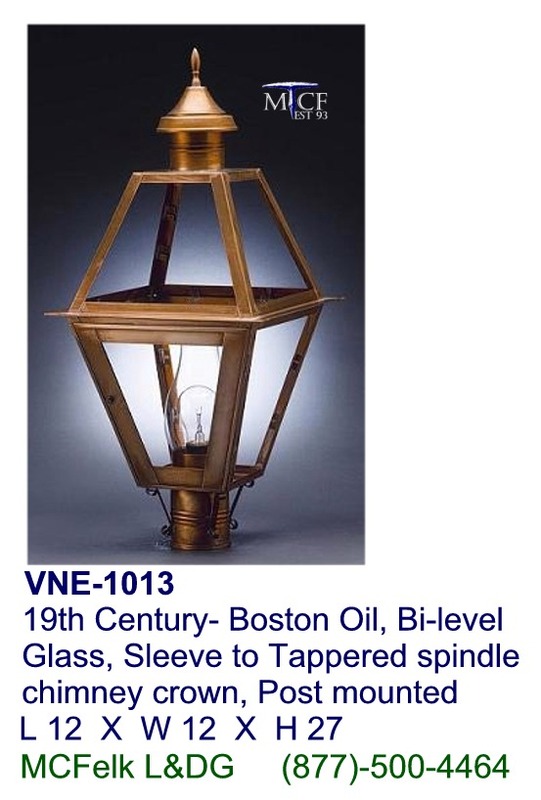 19th Century- Boston Post Oil, Bi-level Glass, Sleeve to Tapered spindle chimney crown. 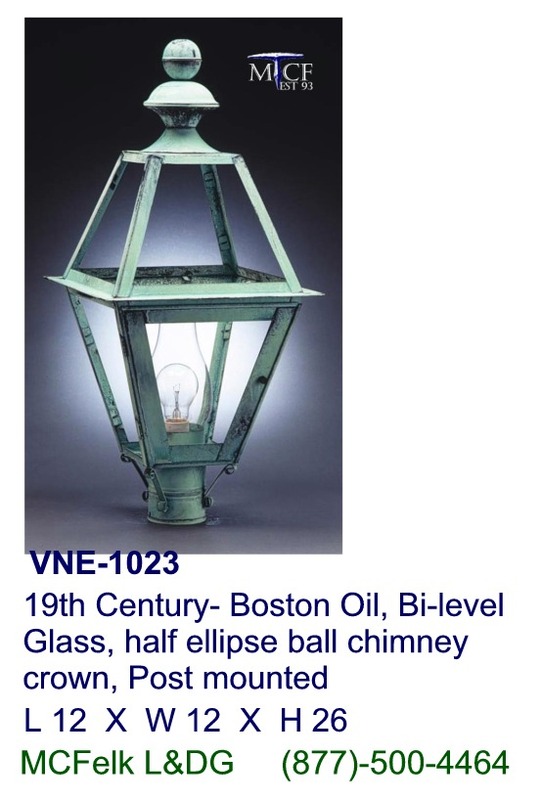 19th Century- Boston Post Oil, Bi-level Glass, half ellipse ball chimney crown. 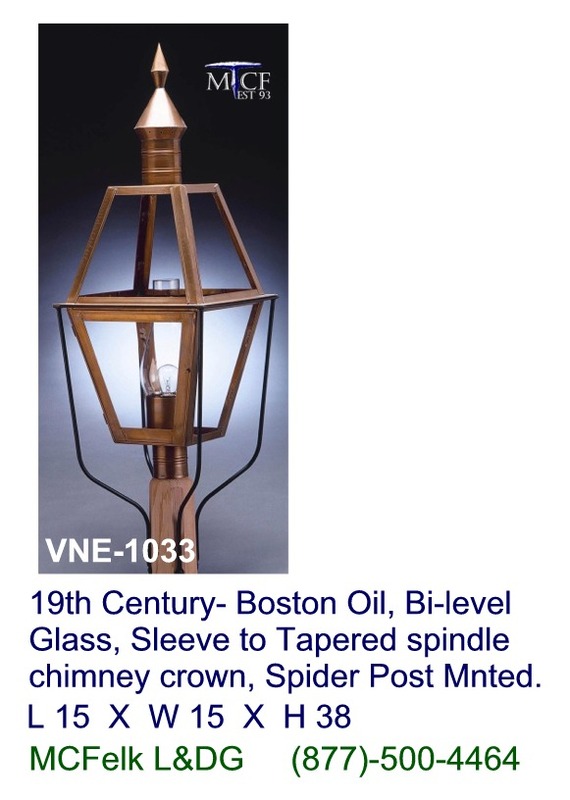 19th Century- Boston Post Oil, Bi-level Glass, Sleeve to Tapered spindle chimney crown, Spider Post mounted. 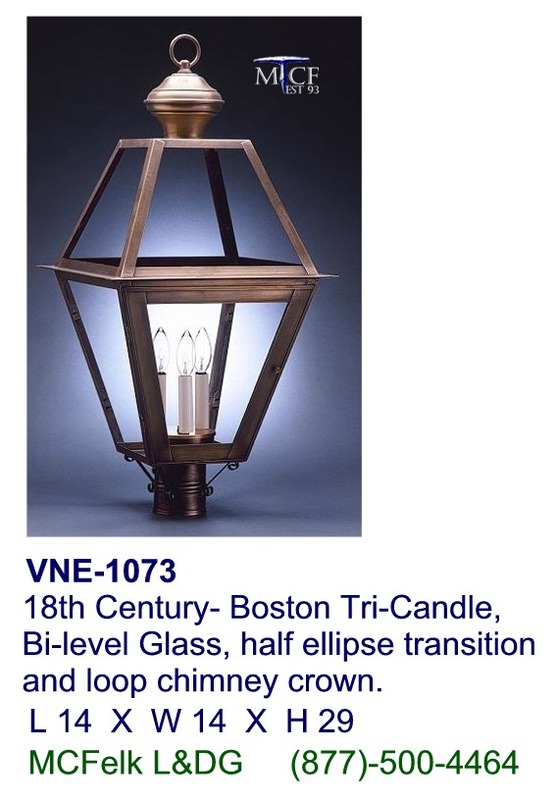 18th Century- Boston Post Tri-Candle, Bi-level Glass, half ellipse transition and loop chimney crown. 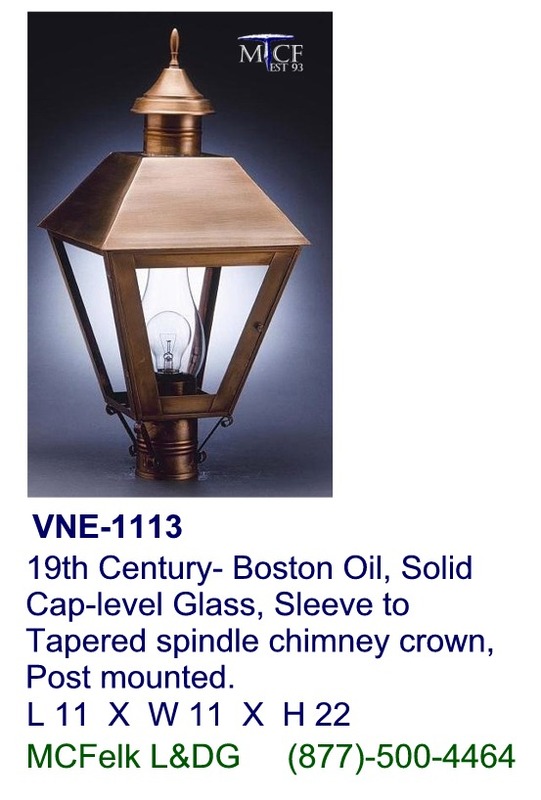 19th Century- Boston Post Oil, Solid Cap-level Glass, Sleeve to Tapered spindle chimney crown. 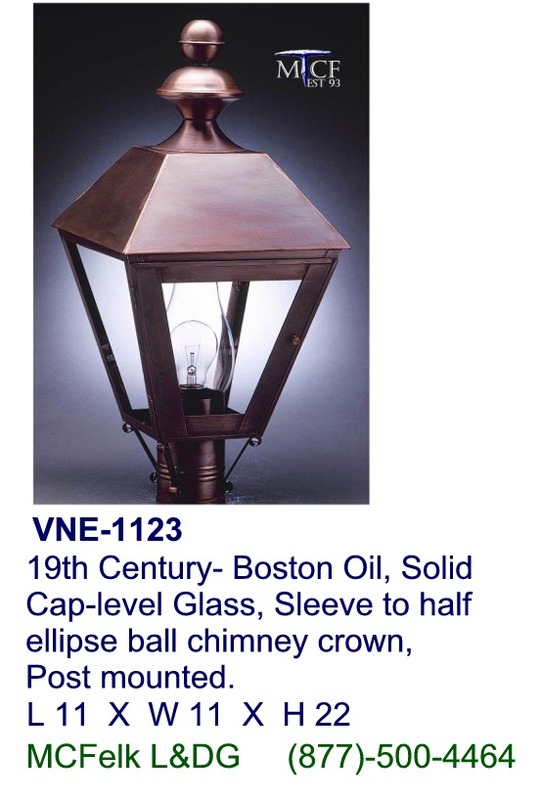 19th Century- Boston post Oil, Solid Cap-level Glass, Sleeve to half ellipse ball chimney crown. 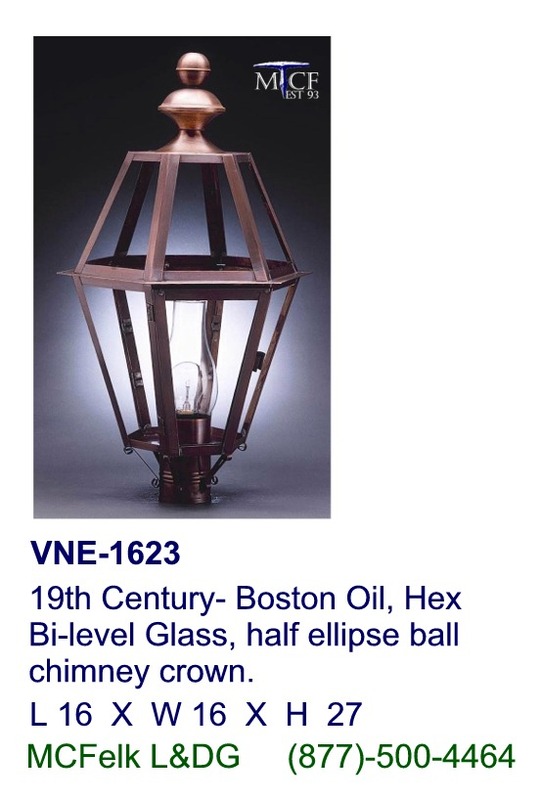 19th Century- Boston post Oil, Hex Bi-level Glass, half ellipse ball chimney crown. 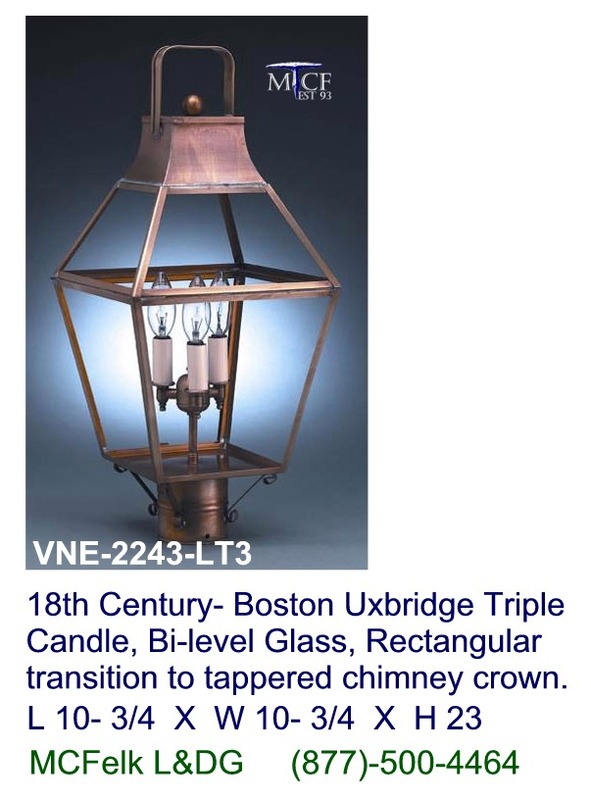 18th Century- Boston post Uxbridge Triple Candle, Bi-level Glass, Rectangular transition to tappered handle chimney crown. 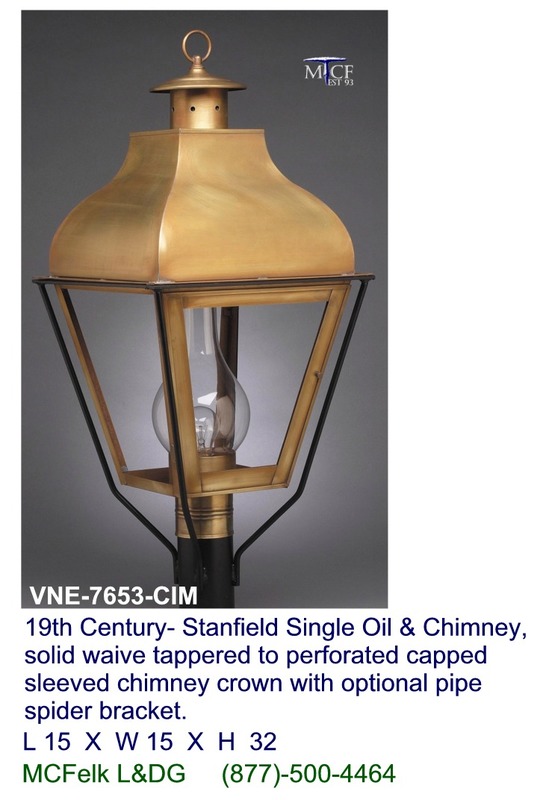 19th Century- Stanfield post Single Oil & Chimney, solid waive tappered to perforated capped sleeved chimney crown with optional pipe spider bracket. 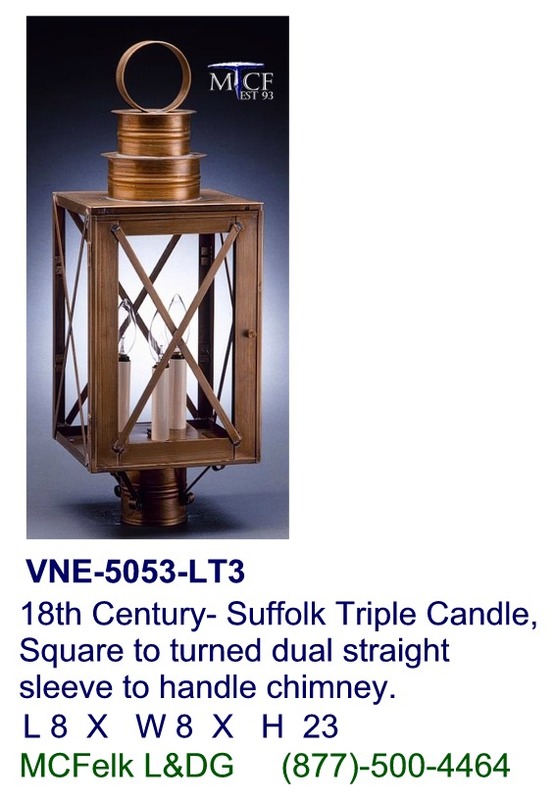 18th Century- Suffolk post Triple Candle, Square to turned dual straight sleeve to handle chimney. 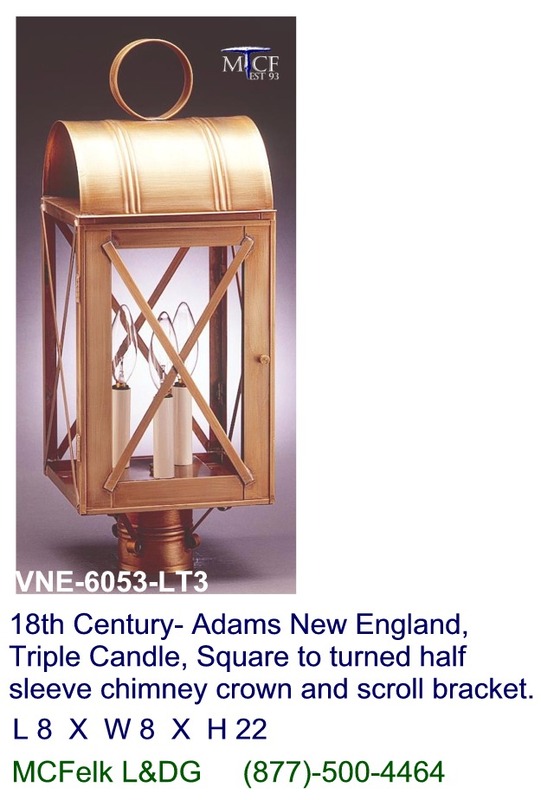 18th Century- Adams New England post, Triple Candle, Square to turned half sleeve chimney crown and scroll bracket. 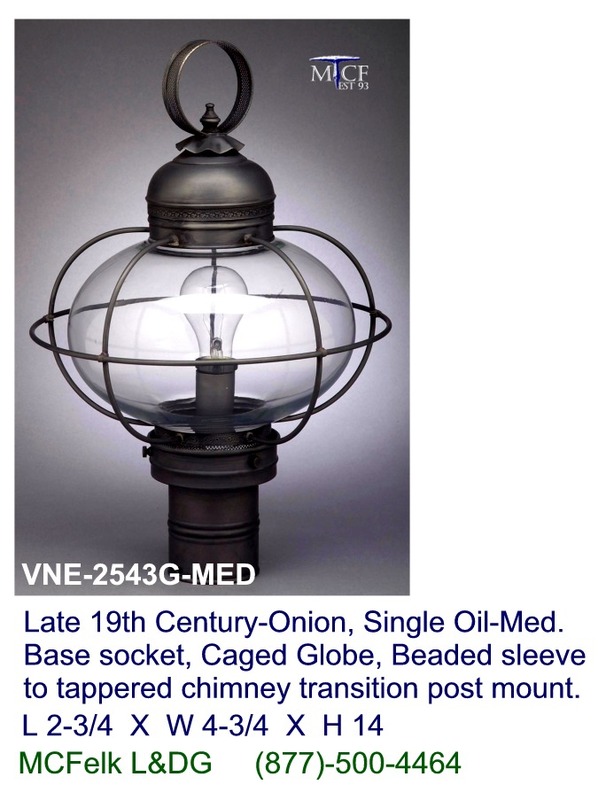 19th Century-York/Penn. 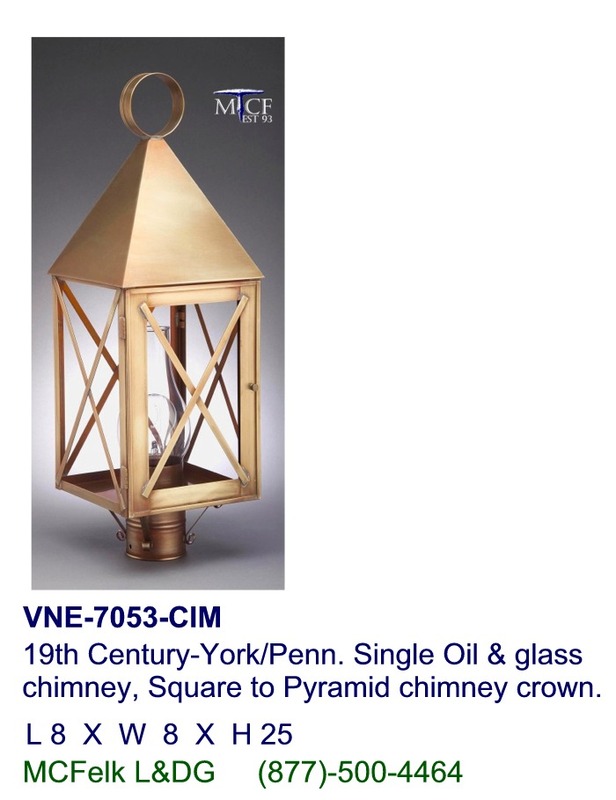 post Single Oil & glass chimney, Square to Pyramid chimney crown. 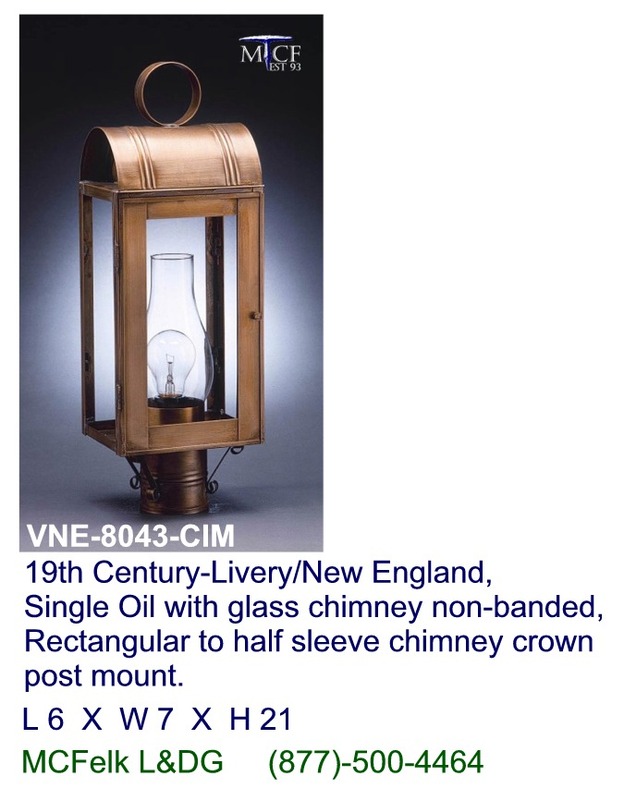 19th Century-Livery/New England post, Single Oil with glass chimney non-banded, Rectangular to half sleeve chimney crown.